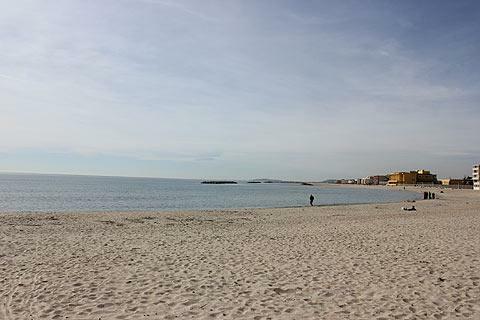 Palavas-les-Flots is a sea-side town in the Herault department, just 6 kilometres south of Montpellier, in the south of France. 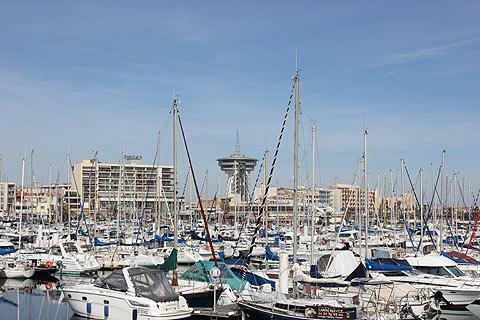 The main centre of Palavas-les-Flots lies along the edges of the River Lez on a canalised section just before it enters the sea. This splits the town into Rive Gauche and Rive Droit and along the edges of the canal are a selection of bars and restaurants making it a pleasant spot to stop for lunch or take a coffee. In the centre of the town is the distinctive 'lighthouse of the Mediterranean' with its revolving restaurant and, next to this, the church of Saint Pierre and its attractive garden. 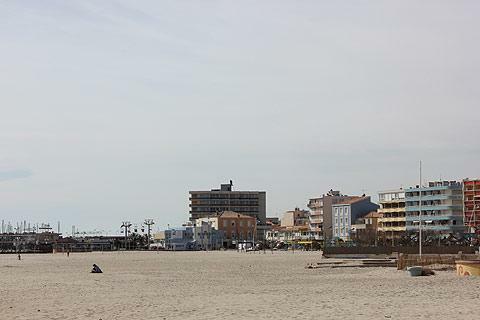 The town then spreads out along the seafront and the sprawl of appartment blocks provides the back-drop to the beach for a distance either side of the centre. Whilst not especially attractive the beach is non-the-less a good stretch of sandy beach and the town's harbour is attractive. There is a concrete pier from which you get some good views of Palavas-les-Flots and out across the bay to La Grande Motte - easy to recognise for its whacky triangular shaped buildings. Palavas-les-Flots has seven kilometers of beach and with this all the water-related sports activities you could wish for. 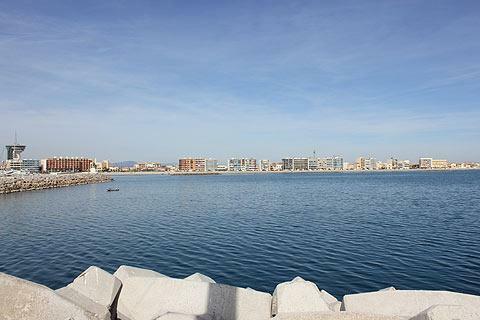 On the other side of Palavas are lots of natural ponds which attract an interesting selection of wildlife and there are various walks you can do to see these. The flocks of flamingoes that live here make a visit to the ponds a real treat. Palavas-les-Flots has morning markets on Mondays, Wednesdays and Fridays. There is a museum of Albert Dubout's paintings and cartoons. Take the four kilometer walk to the imposing cathedral of Maguelone. Don't miss the chance to visit the nearby city of Montpellier, one of the most beautiful cities in France. 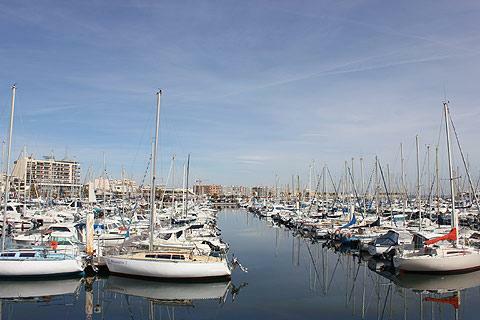 The nearby Canal du Rhone offers the chance to hire a boat for half a day or longer. A seasonal market is held in Palavas-les-Flots on Sunday.